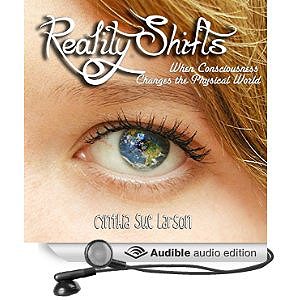 Cynthia Sue Larson and Reality Shifts, now available in audiobook! Think of one of the most miserable people you’ve ever met, and chances are excellent that individual spent most of the time focused on their very small section of the world. Miserable people often feel deprived from relating with others, with limited connections. Now consider one of the happiest people you’ve ever met. You might notice that happier individuals have a sense of being part of something larger than themselves, and whatever petty problems might arise. Regardless of circumstance or external events, these happy folk see a bigger picture, and demonstrate a resiliently buoyant attitude. Now think about yourself, and compare your happiest days with your least joyful days. Do you notice how much brighter days feel when your world view is bigger than just focusing on yourself? At the root of such expansion is a broader conceptualization of who we are—of our identity as something much more than our mortal, physical self—as the conscious awareness who observes our mortal, physical self having various experiences, attitudes, and feelings. Instead of seeing yourself as the person who is angry because someone did or said something you don’t like, you can realize you are the one who is observing the person who feels angry. The simple act of noticing how you feel can serve to raise your awareness of being capable of choosing how you respond to situations. Accessing such a higher level of conscious self awareness naturally lifts us up out of the issues and problems we may have become preoccupied with. By seeing ourselves as having many more choices, we can realize there are always many more possible options available to us than we typically realize. So how can we access these hidden possibilities? Some people travel to exotic locations to gain an expanded sense of self, others make time for meditation and/or prayer, some take time to be alone in nature, and still others volunteer to service organizations. There are many ways to expand your worldview that can lift your spirit, too. If you’ve enjoyed the experience of taking a walk to clear your head, and come back with fresh perspectives and viewpoints that more broadly encompass new ideas, you’ve likely experienced an expanded sense of awareness. Much of the reason such head-clearing works is that when surrounded by nature and natural settings, you naturally expand your sense of being to encompass the green grass, green trees, and blue sky all around. No thought is required to make this shift in self identity; it occurs naturally and effortlessly. At levels of increasing and expanding awareness, we feel connected to everything around us, and all that is. At these higher levels of expanded awareness, we feel and know that we belong. Problems that seemed scary or insurmountable don’t seem frightening from this point of view, and other options and choices appear as if they’d been there all along, quietly waiting until we noticed they were there. This experience of expanded awareness is possible during times of meditation, and through regular visits to these higher realms, we gradually transform ourselves to become more resilient, more enlightened, more competent, more kind. We become the ones we’ve been waiting for, as we see a transformed world appear before our eyes. It’s well worth noting that transformation through meditation takes time and is slow and gradual because it’s based on regular practice in your life. Just as it takes time to receive an advanced university degree, medical certification, or mastery in a particular sport, it takes time and regular practice at expanding your awareness before such expanded awareness becomes a natural part of daily life. 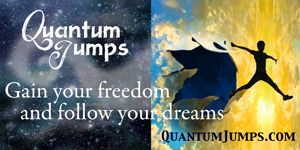 Cynthia Sue Larson talks with Dr. Rita Louise about her best-selling book, "Quantum Jumps," and the way reality literally shifts as we quantum jump between parallel worlds. Quantum effects really do occur in daily life. Find out how to recognize evidence of coherence, entanglement, and superposition of states (many possible you’s and many possible me’s) in your everyday life with Dr. Rita and Cynthia on this exciting show! Our thoughts and feelings change the world around us, whether we’re aware of it or not. We get lots of little clues this is happening when we pay attention; we’ve all had days when we can’t find our car keys because they aren’t where we know we put them, or we discover one sock is missing from our load of clothing that just came out of the dryer. At times like these, it can feel like “Shift Happens! #@$! “ The good news is that we don’t need to suffer from discordant thoughts and feelings! We can learn how to minimize the frustrating reality shifts, and learn to make our favorite dreams come true. The following really flabbergasted me, and really got me interested in this subject (yes, I’m slow!) Five years ago, driving home from school with my 16-year old son, we traveled 7 kilometers in 3 seconds. We drove out of a town and drove into another one that was 10 kilometers down the road. Now, when I would have been alone, I would have thought I should pay more attention to my driving. Then my son asked me: “Was that the sign of Stramproy?” Which it was. And he said, “We never came through Molenbeersel. And we passed the sign of Kinroy 3 seconds ago. What happened? !” I realized we had been traveling in another dimension with a car of 1500 kg and somehow landed without hitting anything. It was my biggest worry how not to make accidents, doing this. I was completely sure this is happening all the time, but we don’t see it because it does not fit in our reality. Just like a kitten won’t see vertical stripes later in life when he has not seen them during the first few weeks of its life. 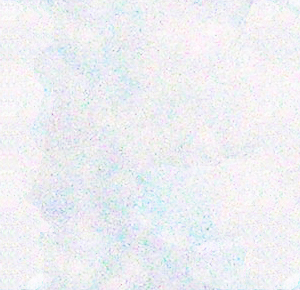 The information is not uploaded in our computer and our brain ignores it, assuming something was always there when it appears, or never was there when it disappears. I have no idea where my son and I were during the 3 seconds we drove the 7 kms. According to us we were in the car and talking. But it is obvious we were somewhere else WITH the car. This is the first time I wrote it down and acknowledge this is actually happening. I’m looking forward to reading the stories of other people as well. AND to consciously be aware of what is happening and enjoying the experience, instead of more or less ignoring them! I cannot wait! Thanks for your work! It is a great help to me to know I’m actually okay :-) It would be so helpful if people would quit calling this stuff paranormal. It is actually normal and part of our nature. Note from Cynthia: Your experience of traveling a great distance in a short amount of time is one that happens fairly often to a large number of people, and in fact it's so commonplace for some people that they rely on it when running late, and needing to get somewhere in a hurry. Just like some people know they can get a good parking spot just about any time, any where, so too do more and more people realize that time and space are much more malleable than most people realize, and we can rather often cover big distances surprisingly quickly--as if some parts of the trip were fast-forwarded. A few years later I was having a coffee with a friend and saw my son (the same one) coming home on his bicycle, disappearing around the house to put his bike in the shed. My friend saw my son too, and told me she wanted to leave before he came in, so I saw her to her car, all the time aware of the fact I had not heard my son come into the house. It worried me a bit, so when she was gone I actually looked around for him, because I thought perhaps he had had a little accident and was lying somewhere, unable to get up. I could not find him, and was extremely puzzled. Fifteen minutes later, he came home on his bicycle, just as I had seen him do earlier. What puzzles me is that these things never struck me as being odd! I thought I was strange! In the book, RealityShifters Guide to High Energy Money, does it teach you how to make money with no money, and how do you do this? 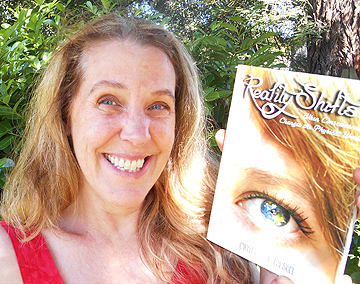 Yes, RealityShifters Guide to High Energy Money includes a chapter on finding money. Money can be found through gifts, awards, inheritance and good luck which can all be viewed as 'making money with no money.' Several examples, meditations and exercises are included in the "Finding Money" chapter on money windfalls. I came across your work through your video's and interviews on youube. I am greatly impressed with your knowledge and warmth. I am especially interested in shaping our reality as "good as we can get it". I've had at least a decade of what I would call paranormal experiences and have been trying to wrap my mind around things. I enjoy your scientific as well as spiritual approach to it all. My question concerns the phenomena of seeing the clock face at the same time day after day, for me it's 12:00 and 6:00. I've bought 3 of your books and have not yet seen that you address this, although I think you mention it in an interview. I bake a lot and have a very keen internal clock, as to "know " that the oven timer is about to ring. Is this clock thing an internal programming to find a clock at 12 noon or is it some kind of cosmic push? I feel like I'm pretty "awake" already. I'd love to hear from you. Thank you. While I was sharing thoughts more relevant to the 1:11 and 11:11 times, it's evident from your experiences that you are attuned to time at a deeper level of knowingness than you or others might ordinarily think possible. You can deepen and strengthen your trust in this facility, if you so desire, to the point that you can ask questions about time in which you don't (or supposedly "can't") know the answer, such as "When is (beloved one's name) leaving (wherever they are) and starting to come my way?" Thanks to this kind of "time knowingness" that is indicating to you it's all ready and set to go, you can then look at a clock and see a time which, if you later stop to confirm with your beloved, you'll most likely see is the same time. If you wish to utilize this inner-time-knowingness as an alarm clock, you can "set" any wake up time you desire when falling asleep, and easily see how well this works for yourself upon awakening. I am 14 but have been into this theory of parallel universes for a year or so. The idea fascinates me, actually. I hate to be rather blunt, but do you have any pointers as to not falling asleep while focusing on the alternate world? Your question of how not to fall asleep while focusing on alternate worlds is a good one. It helps to sit up, rather than lie down, and it's a good idea to make sure you're getting enough sleep and are not chronically tired. If you feel drowsy, get up and move around for a bit. Even simple movement such as pressing your fingertips together firmly can be enough movement to keep you awake, relaxed, and alert. Dr. Dean Radin presents a scientific review of numerous special abilities humans can potentially develop, working from the framework of the siddhis from Patanjali's Yoga Sutras. Supernormal begins by discussing the mystical abilities yogis from India have been experiencing and writing about for thousands of years. While mystical abilities have been long associated with extensive meditation, the Yoga Sutras warn of the stumbling blocks of greed, ego and ignorance that can distract and interfere with people's focus on inner transformation, which should be the desired goal of meditation. Discussion of yoga and yogic powers may seem irrelevant to most people living in the western world, yet the truth is that yoga has been making slow, steady inroads through western culture for some time. Most people now know, for example, that meditation can reduce stress and aid in healing. Westerners tend to practice yoga mostly as a physical activity, yet yoga is but part of a much greater spiritual and metaphysical mind-body-spirit practice. Radin provides examples of laboratory studies and experimental results indicating that such yoga "superpowers" as: precognition, telepathy, psychokinesis, clairvoyance, and psi have been recognized in statistically significant ways as existing in the general populace. There are reasons for primarily conducting research laboratory trials with everyday, ordinary folks, though some studies do include experienced meditators. As Radin points out, we can view all the yogic siddhis as variations on three basic classes of extraordinary qualities of human experience: exceptional mind-body control, clairvoyance (including precognition and telepathy), and psychokinesis (mind-matter interaction). One of the many interesting main points arising in Supernormal is that at elevated levels of awareness that experienced yogi masters and meditators attain, causal connections can be made through time and space in ways that seem to contradict what most people would consider common sense. Experiments have thus shown there can be such things as delayed choices, in which a future decision influences current or past events. Such bizarre happenings are just part of everyday life in the quantum realm, however, which Radin points out likely plays a significant role in our experience of all manner of psi abilities. But wait, you may protest, what about the news we've heard from reporters who say the scientific evidence of the existence of psi is inconclusive, or that extraordinary claims require extraordinary evidence? Dean Radin shares more than enough references, sources, and explanations of scientific rigor and method to put all but the most close-minded at ease. Radin also identifies some commonly held assumptions held by many people that run counter to what is now being observed in experiments in the field of quantum physics, such as: realism, localism, causality, mechanism, physicalism, materialism, determinism, and reductionism. As Radin explains, "Most college students in the Western world are taught these doctrines throughout their formal education, but they are not often presented as assumptions. It is rare to find a student who recognizes that these ideas are guidelines and not self-evident facts of nature. As a result, students who become working scientists find no reason to question the assumptions." Yet question we must, if we intend to follow the spirit and the letter of the scientific method. And I know of no better place to start questioning than by reading Dean Radin's outstanding tour de force, "Supernormal." Ervin Laszlo's "The Self-Actualizing Cosmos" points out that we humans are part of something much bigger than ourselves. As Laszlo explains, "Entering altered states of consciousness through unusual events or through prayer, meditation, esthetic experience, or the contemplation of nature has a measurable effect on the brain: it synchronizes the left and right hemispheres." Such synchronization is in sharp contrast to regular states of consciousness in which right and left hemispheres function independently of one another, and yet this is just the beginning of something truly amazing; when groups of people enter a deeply meditative state together, coherent synchronization occurs for the entire group of meditators! In the Akasha paradigm presented in this book, such connection and coherence are considered as fundamental features of a unified, holistic, interconnected totality. Quantum physics brings with it a new conceptualization of what it means to be human in an intrinsically nonlocal world. In this new paradigm, evidence of a deeper dimension of information presents itself at the cutting edge of quantum field physics. And yet, as new as this idea may seem, the truth of the matter is that such a concept of basic essential roots of reality has been known for thousands of years in classical Indian philosophy as the Akasha--the fundamental element against which everything in the material universe can be observed. Alas, the coherence attainable by groups of meditators is seldom the norm for human societies. While our biosphere and all natural ecosystems demonstrate how they are networks of supercoherent systems, humans frequently dance dangerously close to marginalizing our own and other species. Laszlo sounds the clarion call to feeling the urgency by which humans must either regain coherence with the natural order of our planet and ecosystems, or accept the fate of all species who refuse to make such harmonious connections. While the situation indeed appears dire on the face of it, Laszlo's book is not depressing. I find a great optimism intrinsic to the notion of an intelligence beyond our ability to quantify or dissect. When we consider the idea that natural order already exists, as do ways of living harmoniously with all plants and animals on Earth, we can envision there will be people willing, motivated, and able to join together as one and experience a prosperous, sustainable, interconnected and harmoniously supportive world. So how, exactly, does this Akasha paradigm work? Two scientific hypotheses are presented: Paul A. LaViolette's hypothesis of the Transmuting Ether, and Peter Jakubowski's theory of The Universal Quantum Field. Since these theories are not readily verifiable, some could argue they are theoretical physics and philosophy more than actual scientific theories we can yet test. Nonetheless, the concepts and ideas presented in The Self-Actualizing Cosmos are essential reading for anyone seriously concerned with the well-being of the human race and life as we know it on Earth. Highly recommended and thought-provoking!